When it comes to Roswell locksmith services for automobiles, good is not good enough, you want to deal with the best. Fast Locksmith Roswell is the best locksmith company in Roswell and we want to prove to you why that is. We do it: retrieving broken keys from locks, replacing ignition switches, replacing car keys and unlocking cars and we do it all around the clock. There is no bad time to call Fast Locksmith Roswell; we are always open for business. It is a nightmare moment, that moment that you realize that your keys are locked in your car. Take a deep breath and call us(770) 679-3117. FastLocksmithRoswell.com makes quick unlock services our priority. Do not try to open the car yourself because you can damage your car. Our expert locksmiths are mobile and carry their unlock tools with them. In no time at all Fast Car Locksmith Roswell will be at your location so you can get inside your car and be on your way. One of the problems with newer cars is that they use transponder car keys. When you break or lose a transponder car key the dealer tells you to go to them for a replacement. Yes, you can go to your dealer and pay their inflated prices for a transponder car key replacement but you do not need to go through that extra effort or expense. 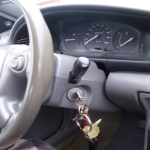 Call Fast Locksmith Roswell (770) 679-3117 and we come to you to assist you with security car key replacements. Fast Locksmith Roswell even replaces and program key fobs and laser keys. Our services at Fast Locksmith Roswell are reasonably priced, unlike the auto dealer’s prices.